As we’re approaching the business end of the season, a single match can often have a huge impact on the fortunes of the teams involved. I’ve therefore had a crack at using the ratings model to identify this weekend’s most pivotal fixtures by simulating the rest of the season and tracking what tends to happen when each match ends in a home win, a draw and an away win. The actual numbers we’ll see after the weekend won’t be exactly the same as the ones shown here as we obviously don’t know what’ll happen in all of the other games. The best way to think about these is that they represent the best estimate assuming every other match plays out as expected. The graphics below show the matches the model has picked out this weekend where the most appears to be at stake for both clubs involved, along with how their respective chances of achieving their main goal varies with each outcome. 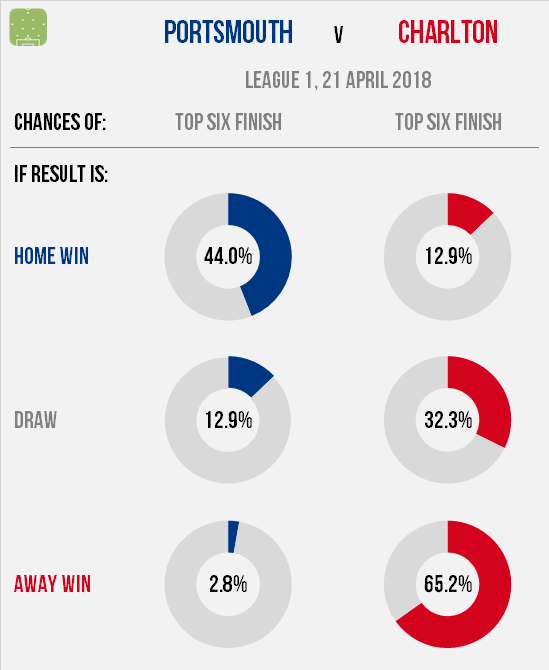 These can be read in conjunction with the match preview graphics – powered by the same model – to get a steer on what’s likely to happen. This is about as pure a six-pointer as you’ll find, with the two clubs’ prospects almost exactly mirroring each other. Whoever wins will put themselves in a strong position for a top six finish while significantly undermining the other’s chances. A draw wouldn’t be a disaster for either – leaving them both likelier to make the cut than not – but the upside of a win is too big to ignore. 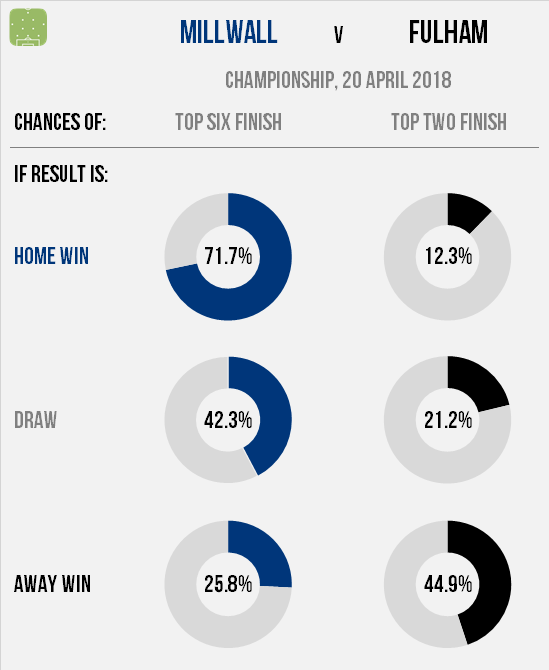 With all three of their remaining matches against teams above them in the table, Millwall remain slight outsiders for a play-off finish but can make a huge statement with a win here. However Fulham won’t have given up on beating Cardiff to second place and will be going all-out for the victory themselves, as anything less is likely to hand an insurmountable advantage to the Bluebirds. The away side’s two remaining games may be against relegation battlers, but Neil Warnock’s team have a game in hand. Defeat at Bradford in midweek means that Portsmouth need a strong finish to the season if they’re to have a chance of making the play-offs. Anything less than a win here and a top six finish is probably out of their reach, although visitors Charlton are in the same boat. With both teams having fewer games remaining than their rivals, at least one of them will see their promotion hopes all but extinguished this weekend. 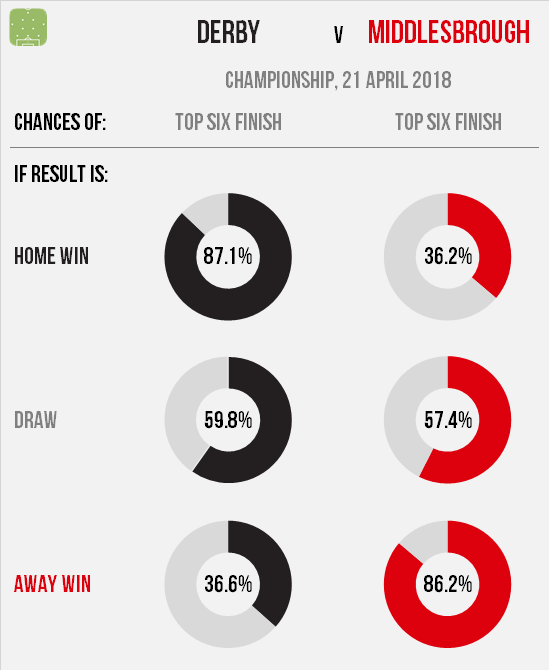 Scunthorpe’s game in hand means that even defeat here wouldn’t be a disaster, although a win could put them close to 90% certainty of a play-off finish if results elsewhere go their way. 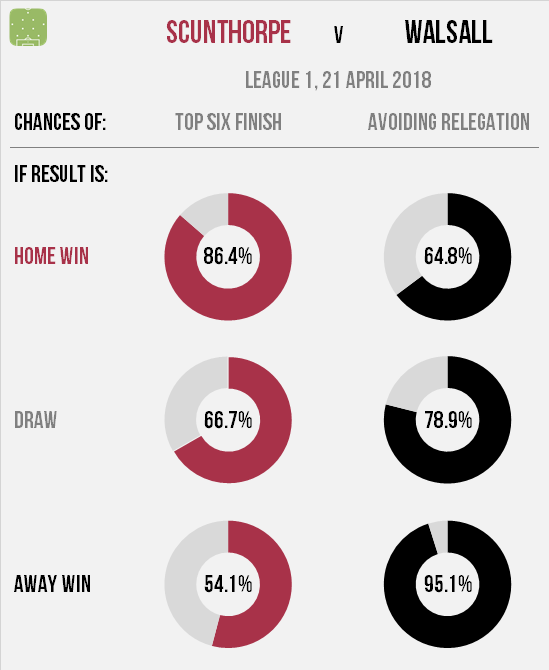 Walsall are still dangerously close to the drop zone, but with plenty of other teams in trouble this isn’t a must-win game. However if the Saddlers can grab all three points they’d put themselves in a very strong position.